Yesterday’s episode of Supergirl capitalizes off of last week’s episode. The episode opens with another happy scene. We get Kara dreaming of Mon-El (He’s talking about Romeo and Juliet), Maggie and Alex waking up. We also get another glimpse of Samantha AKA Reign. We get to hear her explain what happened last week to her daughter, Ruby. Her daughter is curious of her mother’s mysterious strength. They just moved to National City, her mother just got a new job, that will earn her lots of money. 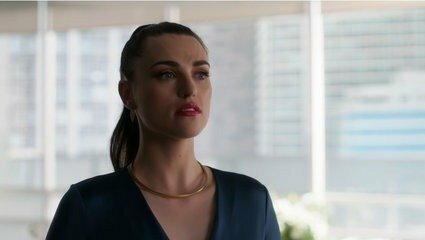 We also get our first glimpse of Lena Luthor as the CEO of CatCo. Her and Jimmy seem to bumping heads. As, Jimmy thought Lena was just buying CatCo as a favor. It turns out, she actually wants to spin her hand as boss. Jimmy feeling like he’s earned his right to fully run CatCo kind of takes offense. They seemingly bump heads throughout the episode, but it helps the episode. We also get to meet this week’s villain. Psi (Daring New Adventures of Supergirl #1 (November 1982)), is a psychic with the ability to bring fear out of you. She uses your worst fears against you, and it will literally make you stop in your tracks. She’s on heist tour, robbing banks and armored trucks at her pleasure. To her, it’s just a game, but to Supergirl it means much more. She uses Supergirl’s fears against her, and forces her into submission. 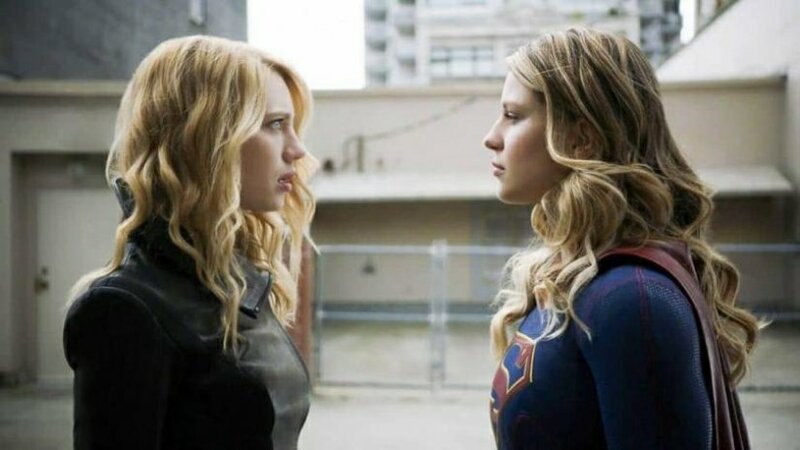 Kara must overcome her fears of the day she left Krypton and what happened to Mon-El in order to defeat Psi. J’onn and Wynn must help her defeat Psi, along with Alex. 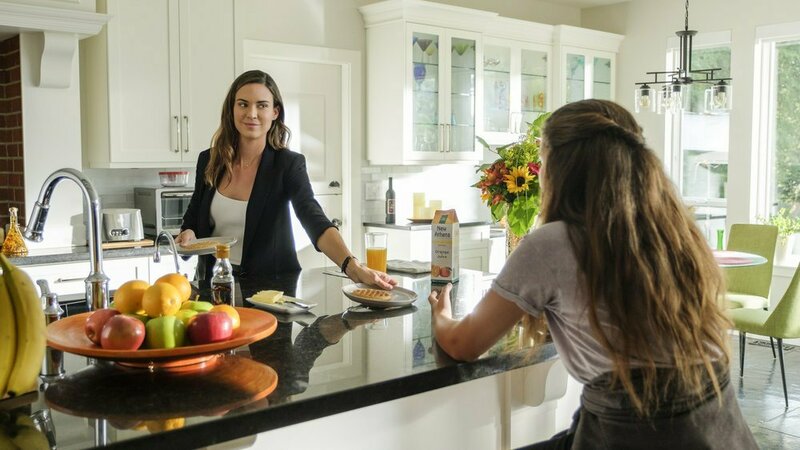 We learn more about Samantha AKA Reign in this episode. She is the person who will take Lena Luthor’s place at L Corp while she takes over Catco. She also cannot really channel her powers yet. Her daughter wants her to have powers, and gets herself in danger in hopes her mom can save her. The arc for Reign is an interesting one, and one that I’m sure we will see more of. We also learn a little bit more about Maggie and Alex. They are still having disagreements about the wedding. Though not as big as last week’s episode, you can tell they are both getting a tad bit annoyed. Also, the question of children comes about, and it seems as if that may cause a drift. This will be a very interesting story within the story to follow. This episode capitalizesoff of last week, like I said in the beginning. There’s a bit of a trend going on this season. In both of the first two episodes so far, Kara has been broken by her enemies. It’s as if the Girl of Steel isn’t made of Steel anymore. She is becoming so easily broken by her enemies, and only positive thoughts of Mon-El and his well being make her feel better. Hopefully she overcomes this soon, because it may begin to bore the audience. We love to see our broken heroes rise, but in a different manner. Personally, I don’t think it effects the show, but for some viewers it may. The ending is of course a happy one. Samantha and Ruby are off to bed. Alex and Kara are watching Wizard of Oz. Lena and her new assistant are working well together at CatCo. All is well for our friends in National City, except J’onn. Last we saw M’gann she was heading back to Mars. Now, she’s reaching J’onn telepathically and asking him to go to Mars. She tells him it’s urgent and he needs to leave immediately. We will soon see how all of the things from this week play out for Supergirl and the crew. So far, this season is having some pretty good character arcs, and development. Samantha’s arc seems interesting, we all want to know how and why she will become Reign. Will Lena Luthor working at CatCo drive Jimmy Olsen away? Will she learn Kara’s secret identity? Will she become evil like her brother and mother? How will things between Maggie and Alex go? Hopefully, we get episodes this season of Supergirl on Mars. We will see if J’onn’s situation is what will bring about Saturn Girl, and the possible return of Mon-El. Maybe more characters from the Legion of Super-Heroes show up in this season of Supergirl, and that would be grand. What did you guys think of the episode? Tweet us, comment, let us know how you feel!